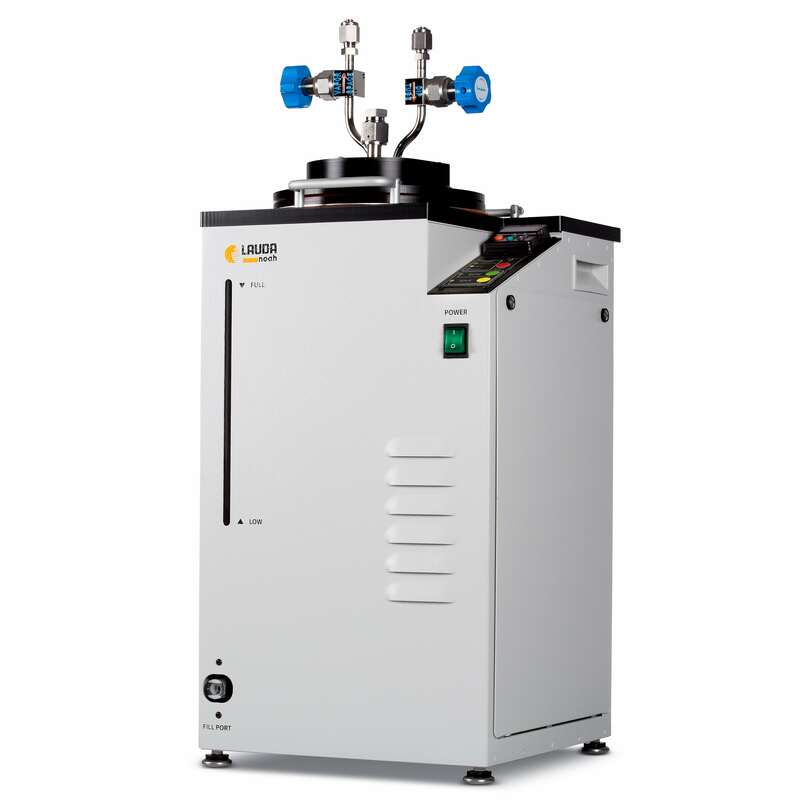 The Thermostat 500 is a thermoelectric (TE) based, sealed chiller which provides temperature control for a bubbler that is installed within the module. The module is space efficient, water cooled, and has PID temperature control. An internal pump circulates distilled water within the module for optimum heat transfer and temperature control. This unit uses up to 80% less power than compressor based units, thus providing immediate energy savings. The only moving part is our pump ensuring a much more reliable chiller. Our sealed units are designed to be maintenance free. The fact that it is sealed will help prevent the glycol/water spills so common with open bath units. The LAUDA-Noah systems are manufactured to be retrofitted into existing applications with “plug and play” ease.